I tēnei wā kei te aro atu ngā māhuri o tēnei roopu ki ngā tūwāhi. Ia wiki whakawhanake ai rātou i ngā wete reo, te puna kupu me te mahi pānui. Hei āwhina i tāu tamaiti, pānui tahi; aromatawaingia ngā kupu hou, pātaitia rānei. Tirohia te ataata kua tāpirihia – I te whakataetae ngā ākonga i te Quizlet. This week the ākonga of this roopu are working on locatives. They are beyond the roto (rō), waho, waenganui, muri, mua, runga, raro and are now onto the konei, konā, korā (kō), anei, anā, arā as well as other descriptive words for locations. Each week the ākonga are developing their grammar progressions, their pool of vocab and also reading ability. 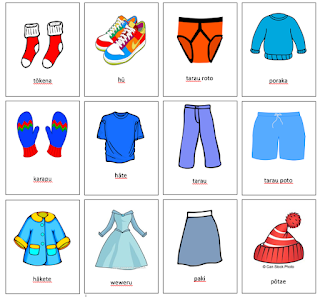 You can help your child by reading with them (they have reading books every week as well as http://eng.mataurangamaori.tki.org.nz/Rauemi-tautoko/Te-Reo-Maori/Te-Huinga-Raukura ); testing them on their new words (Quizlet and/or Te Reo Māori books) and questioning them about their mahi. Have a look at the video attached of the tamariki competing in Quizlet. The te reo work we covered today (Monday with Matua Mike) was how to ask - Who will (do something)? and give a range of replies. Ma wai e āwhina? Who will help? Mā wai au e āwhina? Who will help me? Māku e āwhina. I will help. Māku koe e āwhina. I will help you. Māu e āwhina. You will help. Māna e āwhina. He/she will help. Mā Hēmi e āwhina. Hēmi will help. We also acted out our version of "The Little Red Hen" with Sadie as Heihei (ka pai Sadie). This week we are learning many different sentence structures based around asking questions. We are going to be looking at how to ask how many there are. To do this we use "e hia ngā (noun)" for objects and animals. To respond, if the answer is two or nine and in between you say "e (number) ngā (noun)." If it is only one you would say "kotahi te (noun)." If it is 10 or more you use "tekau ngā (noun)"
Here are some we tried in class. To ask how many people there are we use "tokohia ngā (tamariki/matua/tangata/etc.)?" To respond we use the same rules as above with the numbers but with the preface of "toko" instead of "e". Toko tua ngā matua tīpuna. We are working on house hold items this week.